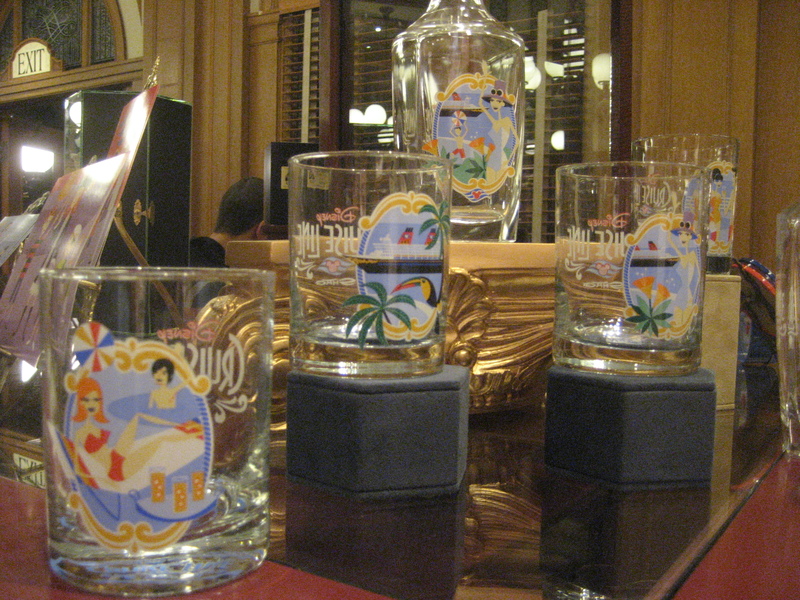 So last weekend I was at Disneyland (again) and discovered to my dismay that the Adventureland glasses were out of stock (hopefully that’s just temporary). 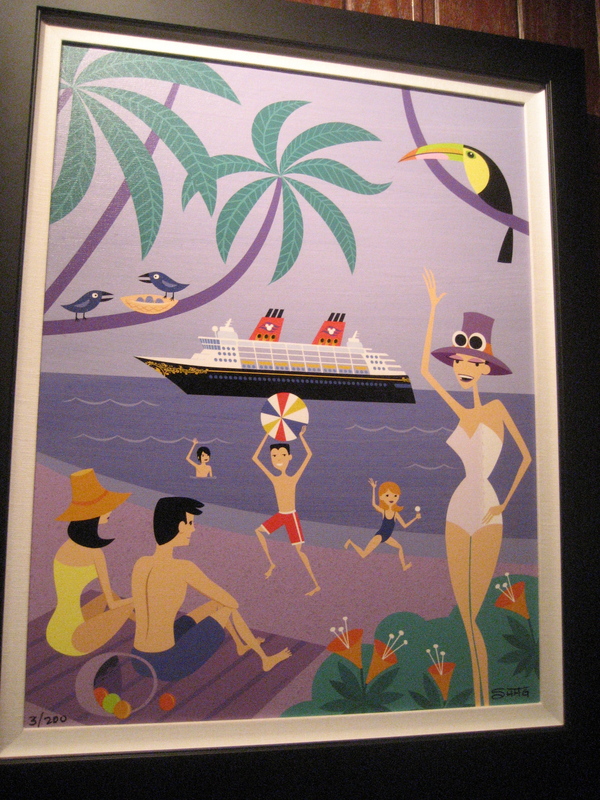 However I was delighted to find that Shag’s merch for the Disney Cruise line had made their debut at the Disney Gallery. Above is ‘Island Intermission,’ a limited edition giclee priced at $395. I’m a bit more frugal than that, so I opted for the postcard set ($18) that included two cards of each of the four designs. There are those pirate kids again—I remembered them from Shag’s Pirates of the Caribbean stuff and from this diptych from his macabre show Autumn’s Come Undone. 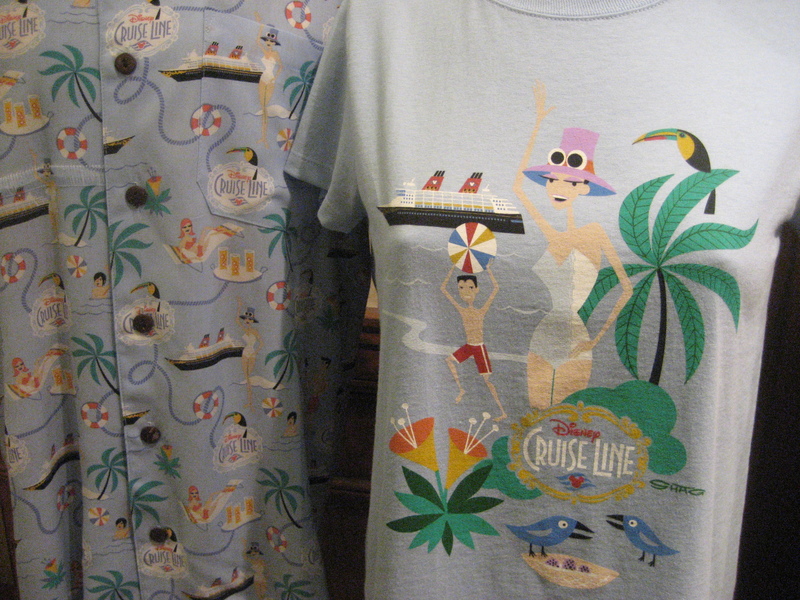 Also on display were a coaster set, decanter, four different glasses, and two shirts (girls’ printed tee and an aloha shirt, seen below). 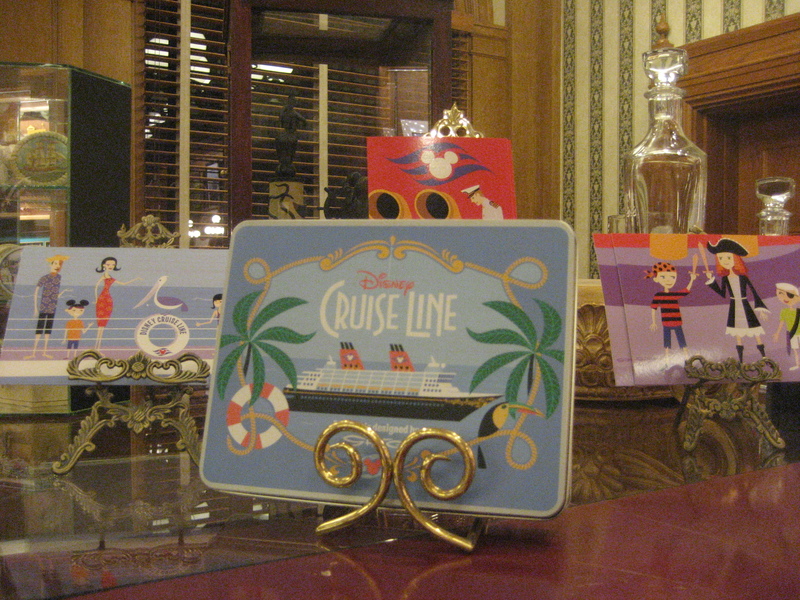 I was kind of surprised to find all this there because the Disney blog said it would only be available on the ship. The selection of items was pretty similar to what Disney and Shag rolled out for the Haunted Mansion’s 40th Anniversary a year and a half ago. Since there wasn’t anything overtly tiki about all that I’ll also include Shag’s map of Disney World, with a tiki for the Polynesian Resort. 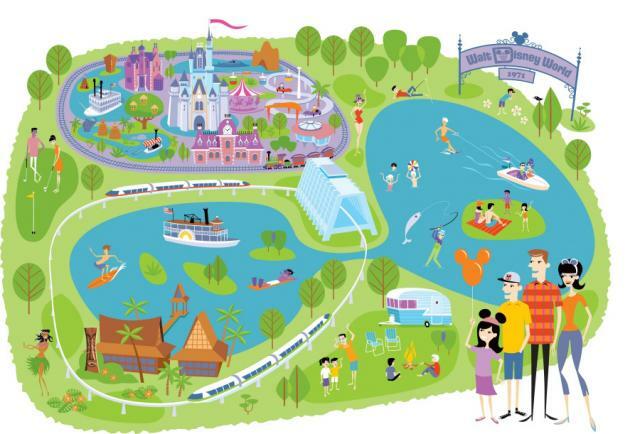 This print and more will be released this summer as part of the park’s 40th anniversary celebration. Cool stuff. Thanks for sharing. I’m really excited for the Disney World 40th anniversary stuff. Yeah, I hope there’s some more Polynesian Resort designs.